The word mosquito is Spanish for "little fly." Mosquitoes are small, midge-like flies with long, piercing proboscis and they have scales on their hind margin and veins on their wings. The long proboscis pierce the hosts' skin to consume blood. 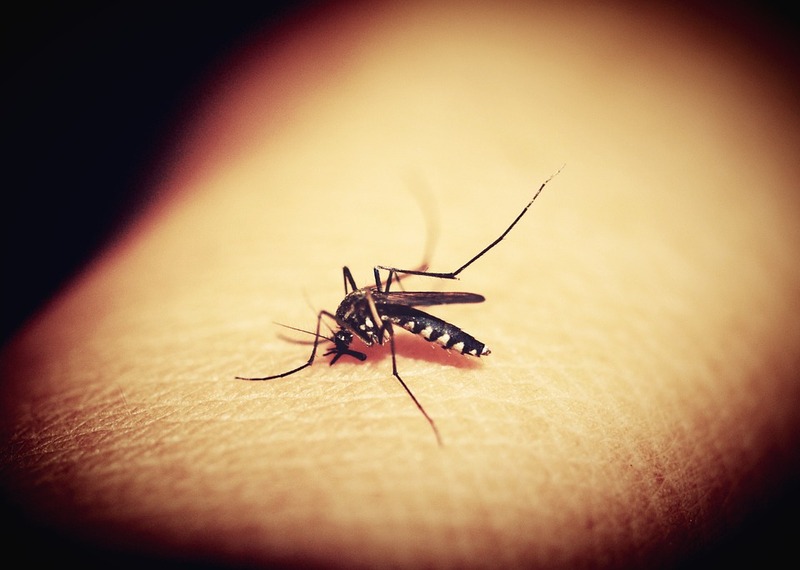 The amount of blood loss is rarely of any importance to the victim, but the mosquito's saliva can cause a rash and possibly spread certain diseases such as Malaria, Yellow Fever, West Nile Virus, Chikungunya, Dengue Fever, and Zika Virus, among many others. The male mouth parts are not equipped with skin piercing proboscis, and therefore feed on plant oils but the female mouth parts are. Mosquitoes have four stages in their life cycle- egg, larva, pupa, and adult or imago. The adult females lay their eggs in stagnant water or near the water's edge and others attach their eggs to aquatic plants. The process is dependent upon its environment but water is a necessity for breeding for most mosquitoes.